Today’s trip aboard the Asteria left us completely in awe. 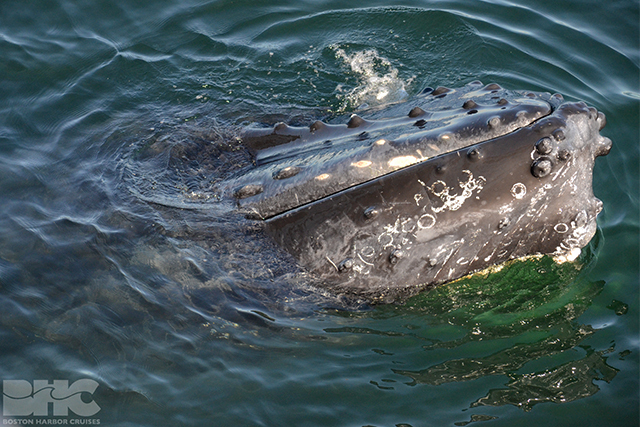 We traveled to the southwest corner of Stellwagen, where we found the blows of three different humpback whales. 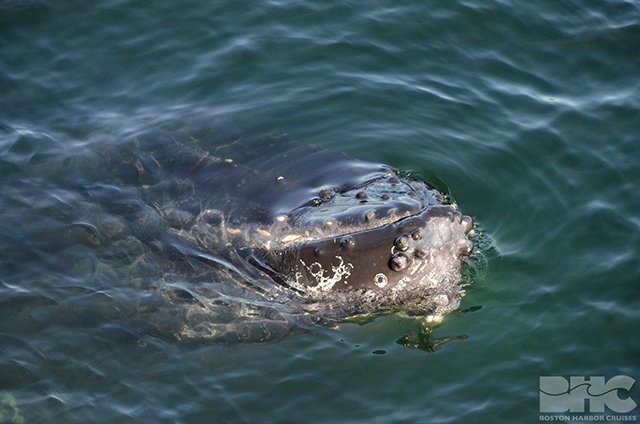 After patiently waiting for these whales to surface after long dives, one of them seemingly became interested in us! 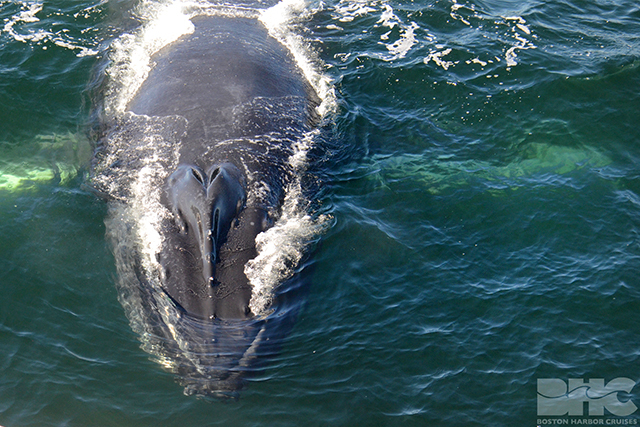 It turned out to be Abyss, a young whale born in 2014. 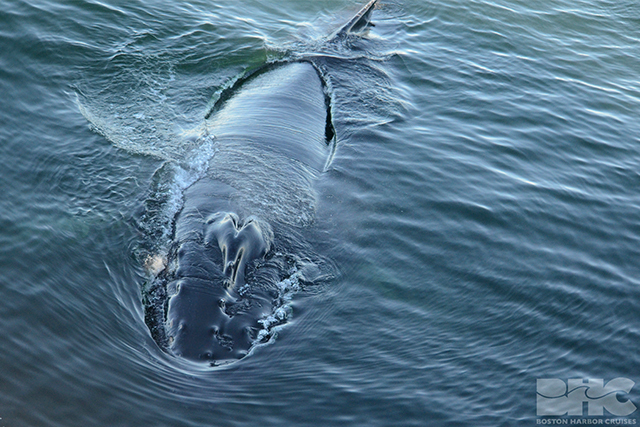 Abyss travelled all around the boat, within close enough range to drench us all in its stinky whale breath. The visibility in the water was excellent, which allowed us to easily see Abyss’s movements as it continuously turned towards us in its display of curious behavior. 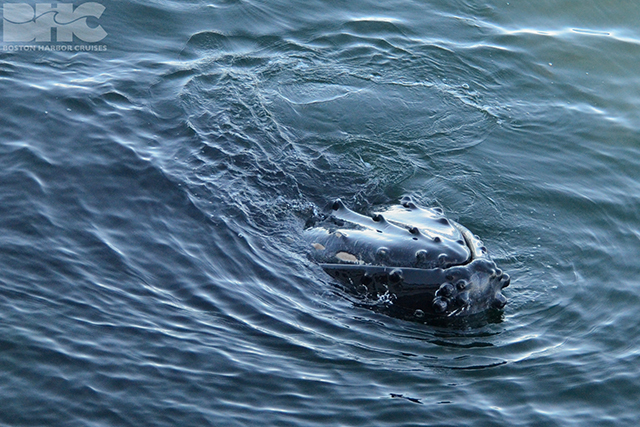 One of the highlights of the trip was when Abyss took a shallow dive near the port bow, and rolled over onto its back! We were also lucky enough to witness several mini spyhops, where it lifted its rostrum straight out of the water. Needless to say, we were bummed to leave this curious little juvenile behind as we enjoyed the beautiful weather on our ride back to Boston!